Madisson Ledan, an employee at a Walmart Neighborhood Market near Boynton Beach, is accused of taking a photograph under a customer's dress. BOYNTON BEACH, Fla. - An employee at a South Florida Walmart was arrested Tuesday after he was caught taking a photograph of a customer under her dress, an arrest report said. 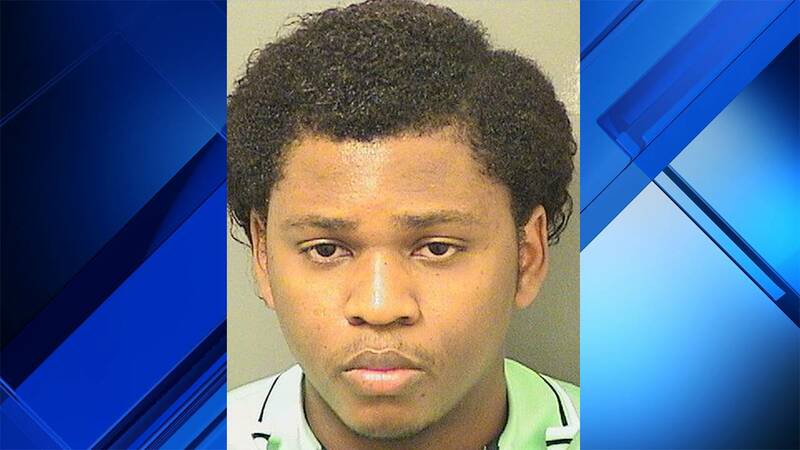 Madisson Ledan, 31, of Boynton Beach, faces a charge of video voyeurism. According to a Palm Beach County Sheriff's Office report, Ledan was working at a Walmart Neighborhood Market on Military Trail near Boynton Beach when a customer witnessed him walk behind another customer and take a picture under her dress. The witness told the woman, who then told store management. When a deputy arrived, the store manager reviewed surveillance video that showed Ledan stop behind the customer in an aisle, kneel down "with some type of device in his left hand," place it under her dress and then stand up and walk away, the report said. The arresting deputy said Ledan refused to answer any questions. Ledan's phone was seized as evidence. He was released from jail the next day on a $1,500 bond.